Improve The Space & Style Of Your Building With A Tiled-Roof Extension! If you want to add more living space in your building, then extensions are the most popular way that you can consider. The extension of the roof offers not only superb protection for your home or business but also enhances existing roof appearance. Whether you’re looking to build a new tiled roof extension on your space or want to replace an old roof extension, KWR Roofing is here to help you. Our experienced and expert tradesmen can provide superior quality roof extension services for domestic and commercial projects. We also provide high-quality roof tiles for roof extension projects. Our engineers work with many professional builders to give roof extensions the desired style and finish. 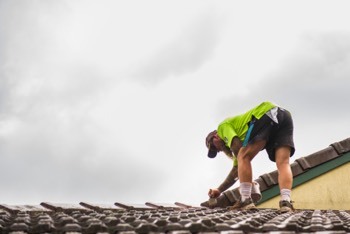 Our team of skilled roofers matches your existing roof tile with new or second-hand roof tile to ensure a flawless blend of an old tile with new. Modern tiled roof extensions Brisbane increase the value of your space. It protects building from rainwater to enter inside your space. During severe weather conditions, roof extensions protect your place from damage. We are in the roof extension services from last 25 years and proudly serve our customers with satisfactory services. We’ve got the wide range of designs for tiled roof extension Gold coast. Our team are available 24/7 to provide emergency roof extension services in areas of Brisbane and Gold Coast. We offer seven-year workmanship warranty. We provide quality work at a reasonable price and offer free no-obligation roof inspection and quotes. Our inspecting team will give you a written estimate with detailed information that you can understand with ease. For more information about our roof extension services for domestic and commercial buildings, contact us now. We will reach you in the shortest possible time.